Thailand - Animals - Where in Our World? 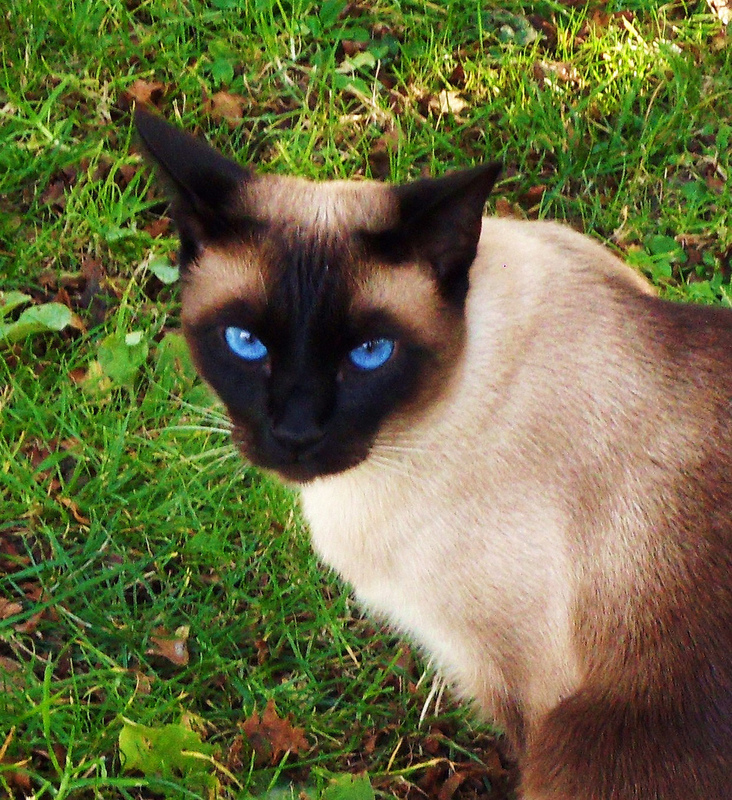 The Siamese cats came originally from Thailand. 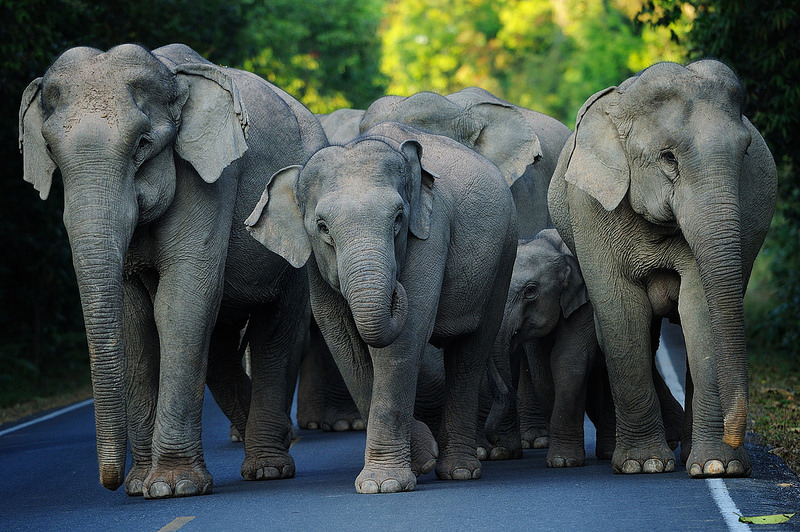 The elephants found in Thailand are called Indian Elephants. 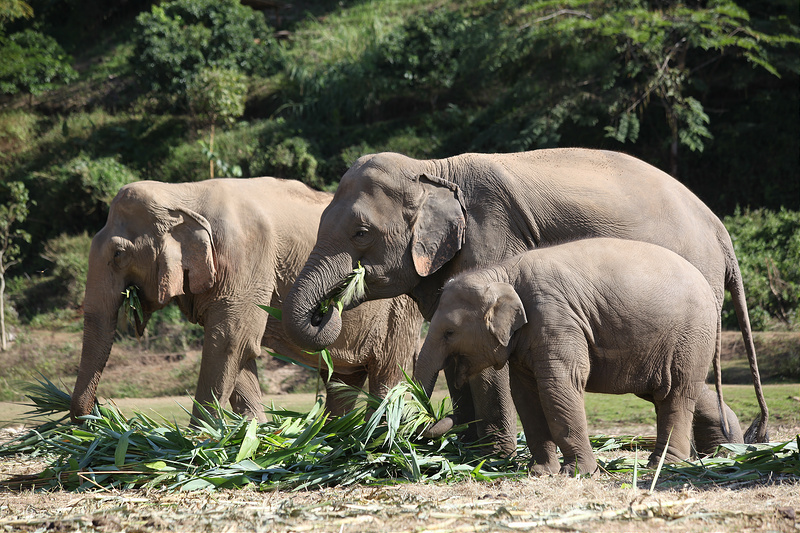 Elephants eat between 150kg-170kg of vegetation a day. They shake the grass until to remove the dust before they eat it. They drink about 120-150 litres of water every day. They also sleep standing up! They keep themselves cool by flapping their ears. Males have long tusks. Females can have short tusks but not all females have tusks. In the past there were thousands of working elephants. There are a lot fewer now. In the past they were used to move logs that had been cut down in the vast forests. However, the government banned logging in order to protect the remaining forests. A lot of tourists go for rides on elephants. This might seem like a lovey thing to do but it is very bad for the elephant's back as they are not strong enough to carry people. Instead it is much better to go to an elephant sanctuary. 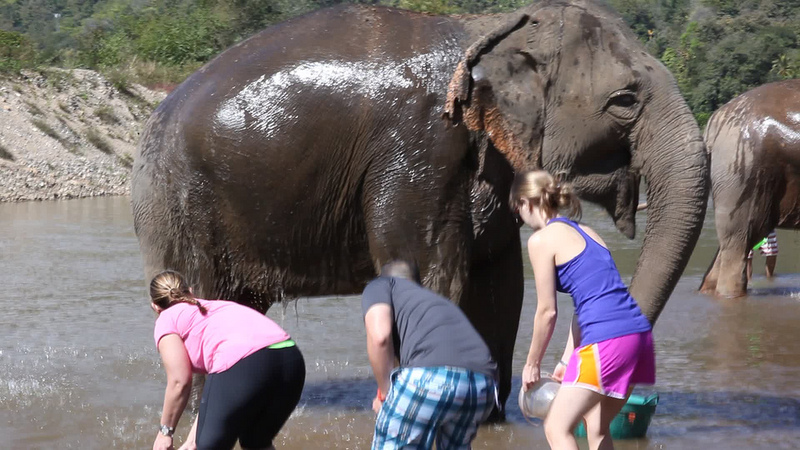 You might even be allowed to feed or wash the elephants! You can stay at Boon Lott’s Elephant Sanctuary. You will stay in the B & B which is next to where the rescued elephants live. You will help to take care of them. 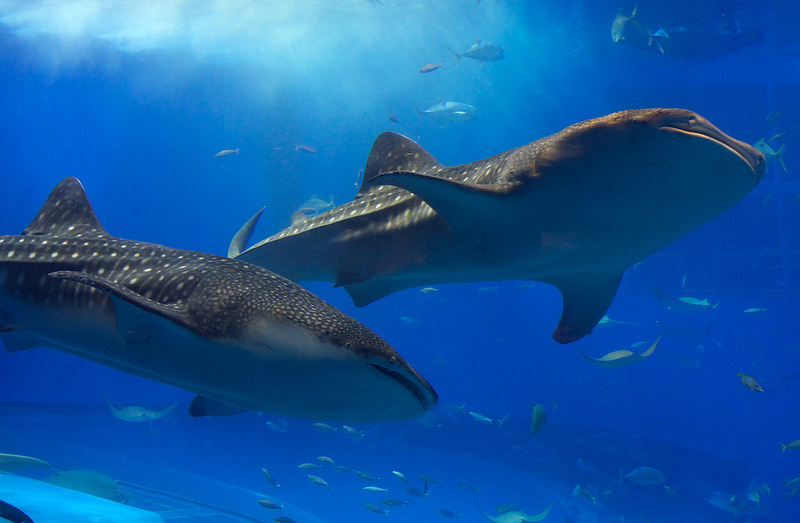 The biggest fish in the world, the whale shark lives in the waters around Thailand. The reticulated python is the largest snake in the world. It lives in the jungles of Thailand. 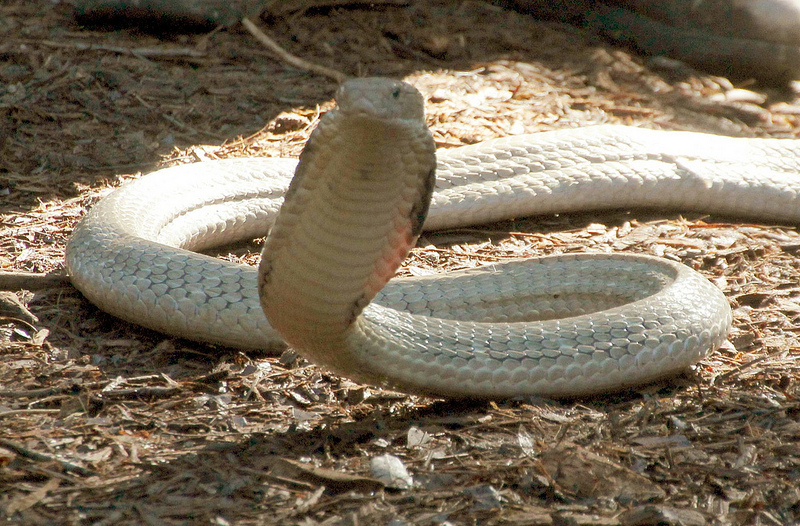 The King Cobra is the longest snake in the world. 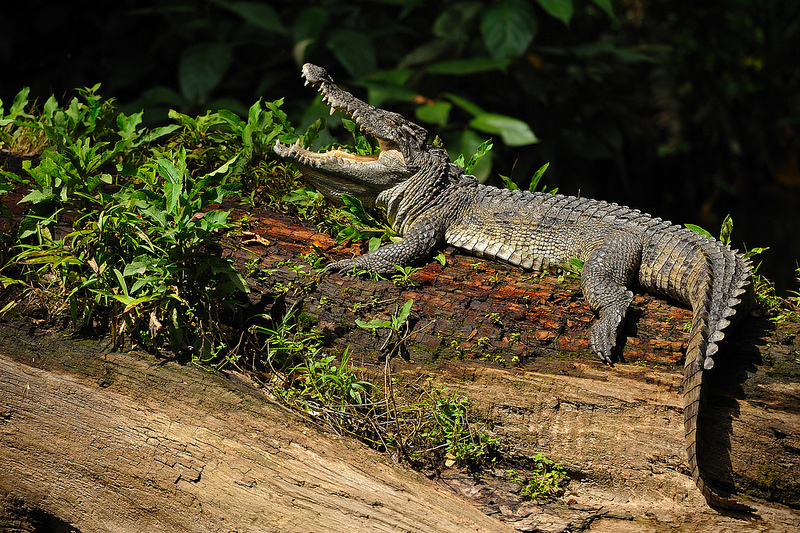 The crocodile found in Thailand is called the Siamese crocodile. It is a small to medium-sized freshwater crocodile. The species is on the critically endangered list. 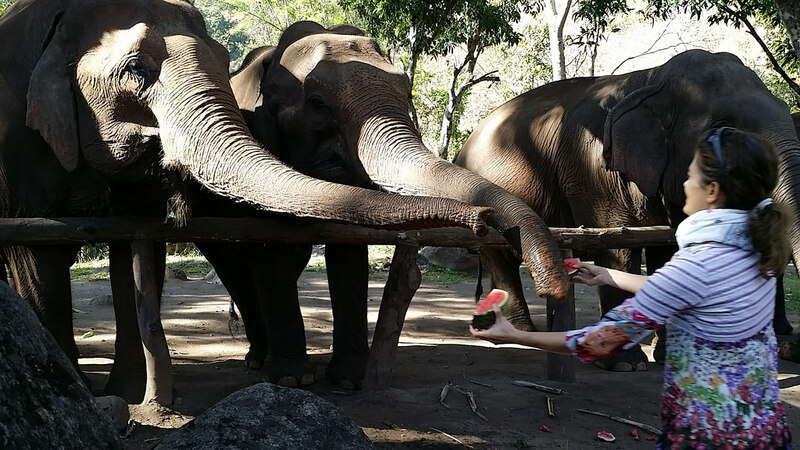 In Thailand there are some strange tourist attractions. One of these is this crocodile wrestling show. It is very popular but must not be very nice for the crocodiles. 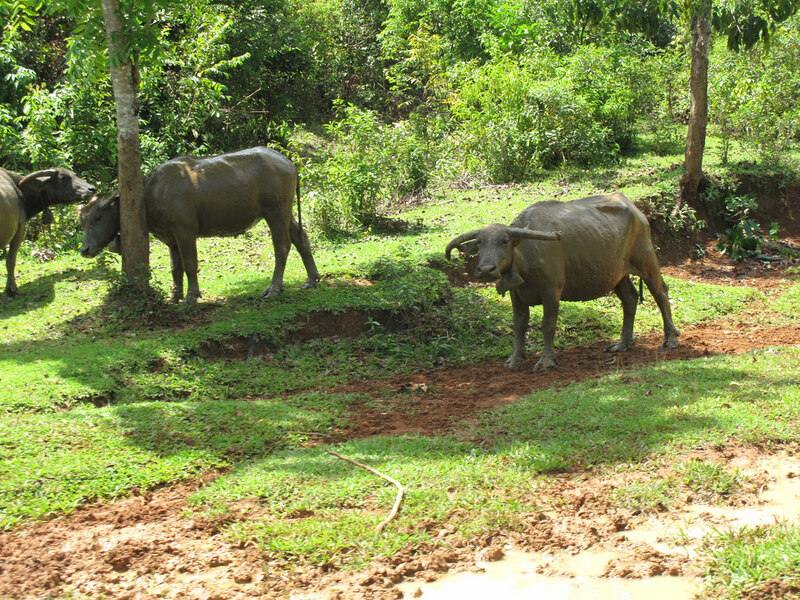 ​Water buffaloes are reared on farms to produce milk and to plough fields in which rice will be planted. The type of tiger found in Thailand is the Indochinese tiger. It is on the critically endangered list. There are less than 300 found in the wild. There are tigers to be found in the zoo. These cows are reared on farms. Sambar deer like to eat all kinds of food. They like to eat grass, leaves and fruit. They have been known to eat shrubs and saplings. They even like to eat water plants when they can find them. 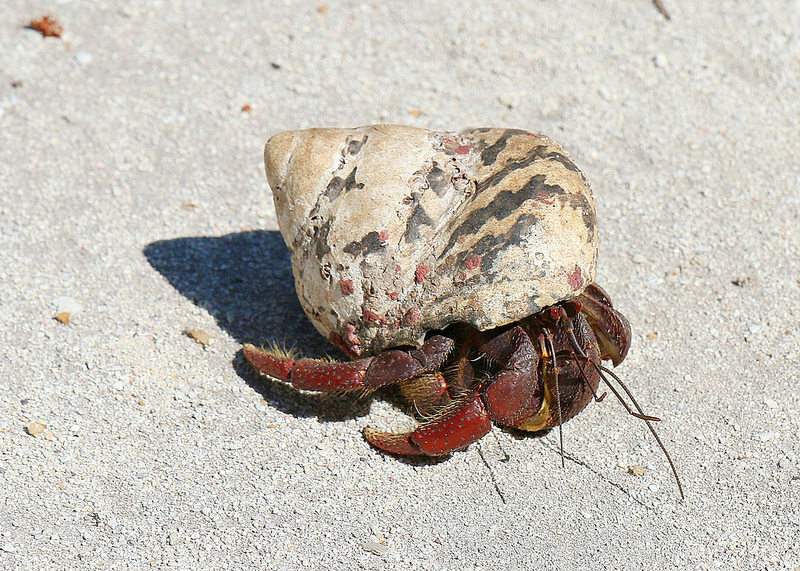 Hermit crabs are unlike other crabs in that their have a soft body which is not protected by a shell. In order to protect themselves they use empty shells, usually those of sea shells. There is a place called Monkey Bay where monkeys live. Tourists often visit this area to see the monkeys.